The Clippers are just 1-6 against the spread in their last seven games playing on two days of rest and 2-6 ATS in their last eight conference games. The Warriors are just 10-21-1 against the spread in their last 32 home games and 0-4 ATS in their last four games following a win. Great free picks site with no obligation I found. They already texted out both NBA Plays tonight for Free! GET OUT OF MY THREAD NOW!! Anyone else using these guys? Giants lost four of last six games; under is 7-3-1 in their last 11. Over/under 1st 5 innings: over 6-0 last six. Toronto won six of its last eight games; over is 9-4 in their last 13 games. Over/under 1st 5 innings: over 5-1 in last six. Az-Pitt— Over is 3-0 in Conroy games this season. Phil-NY— Four of last six Gorman games stayed under. Mil-StL— Over is 4-1 in Wegner games this season. Wsh-Col— Over is 3-1 in Wendelstedt games this year. LA-Chi— Favorites won 12 of last 16 Whitson games. Atl-Cin— Three of last four Tichenor games went over. Chi-Balt— Home side won seven of last 10 Fairchild games. KC-TB— Under is 3-1 in Hoye games this season. Minn-Hst— Six of last nine Hickox games went over. NYY-LAA— Over is 16-6-3 in last 25 Guccione games. Tex-A’s— Under is 3-1 in Cooper games this season. 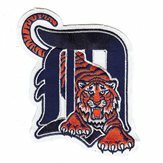 Det-Bos— Over is 4-1, favorites 5-0 in Marquez games. Mia-Clev— Under is 3-1, underdogs also 3-1 in Gonzalez games. Sea-SD— Under is 3-0 in Diaz games this season. SF-Tor— Home side won four of last five Iassogna games. GOLDEN STATE is 4-12 ATS (-9.2 Units) in home games when playing against a marginal winning team (Win Pct. 51% to 60%) in the current season. HOUSTON is 12-1 ATS (10.9 Units) in home games after 2 or more consecutive unders in the current season. Golden State led first four games in this series by 13-23-21-8 points at halftime; they scored 121-131-132-113 points, and led by 31 in only series game they’ve lost. Warriors won nine of their last 11 games overall. Golden State won 11 of last 14 games with the Clippers, but LA covered six of last ten. Warriors shot 55% from floor in Game 3; they shot 27-66 on arc in Games 3-4 in LA. Thompson scored 27 in first half Sunday. Clippers lost six of last eight games overall; over is 12-4-1 in their last 17 games. Golden State turned ball over 43 times in Games 1-2, only 12 times in Game 3, 13 in Game 4. Houston won last seven home games, covered last six; Harden was 11-39 in last two games. In their last three games, Rockets took 133 3-pointers, 112 2-point shots. Jazz stayed alive with its win Monday; they lost Games 1-2 here by 32-20 points, after they had covered five of last seven regular season road games. Mitchell scored 31 for Utah Monday, which was +17 on boards. Houston won 11 of its last 14 games with the Jazz; under is 8-2-1 in last 11 series games (3-0-1 in this series). Rockets won/covered nine of their last 11 games overall. Milwaukee: Chacin 3-0 $ vs. Cardinals, and 3-0 $ in St. Louis ... Cincinnati: Roark 6-1 $ vs. Braves ... Houston: Verlander 15-6 $ vs. Twins, and 5-1 $ April ... Seattle: Hernandez 5-1 $ vs. Padres, and Seattle 4-0 away Game Two of a series this season ... San Francisco: Pomeranz 4-0 $ at Blue Jays, Toronto: Buchholz 2-11 $ April.